I’ve been selling vintage since I was 16, first on Ebay, now on Etsy. I’m very into fashion, photographing, styling and the sustainability of fashion. I’ve been working jobs that I hate and realized that I’m great at finding and selling vintage but don’t know how to make it on a larger scale. I’d love to hear any advice you can offer, I feel quite lost. I empathize with this question so much because I too was in a “no man’s land” when it came to translating my passion for vintage into full time work! First, I’ll answer your question regarding my background & education in fashion. A few years ago I was working full time as a web producer for Esquire.com. I had graduated from college with a degree in magazine journalism, and my hopes were to climb the ranks of publishing to work in the fashion department of a women’s magazine. When I began to recognize that a future in publishing was not how I wanted to enjoy my passion for fashion, I decided to quit my job with Esquire.com so that I could cultivate selling vintage fashion under the Sammy Davis Vintage brand full time. 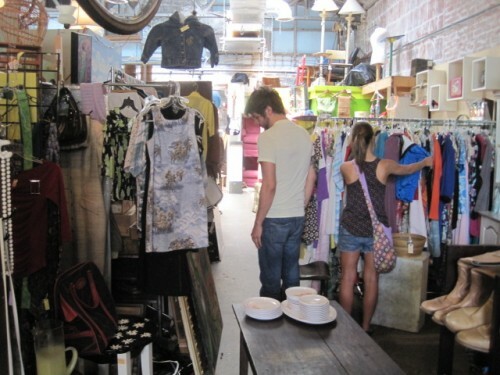 I had started selling vintage on the side at pop up events, trunk shows and markets like the Brooklyn Flea. Sheila, I applaud you for this question because it shows that you are giving attention to that which you want to grow — YOUR PASSIONS! Because I know that many readers of my site wish to channel their love of thrifting into a career involving vintage clothing, I decided to list all the possible outlets of employment (both self and with other companies) that could inspire you or anyone else reading this very post to pursue opportunities to make money working in the vintage fashion industry. In addition to this article, I have great information for current and aspiring vintage sellers on how to price vintage, too. So without further ado, keep reading after the jump for 10 ideas on how to make money buying & selling vintage clothing. Plus, careers involving vintage clothing related to renting vintage apparel and furniture, working for auction houses, fashion museums and more! While we can’t always “do what we love” full time right away, we can always take small steps to participate in those dreams and to cultivate them into a bigger reality than we ever could have imagined. Anyone reading this post and looking to find a career involving vintage clothing have the means to do so — this I truly believe! Those who are looking for even more options to pursue this career path might even consider getting their degrees in fashion merchandising. This list is by no means complete! So with that said, if I missed any great ideas on how to make money in the vintage clothing industry please send me a note by emailing [email protected] so I can add your suggestion to the list. Or, shout me a suggestion by tweeting me or saying hello on Facebook! WHAT: Opening a vintage clothing boutique. The store is curated with pieces speaking to your personal tastes, as well as representative of current trends in the stores now and what’s popular in your locality. You design and merchandise the store so that it’s presented in an attractive and appealing aesthetic. Alongside daily sales, you host trunk shows and themed parties to bring new and old customers into the store for a social shopping environment. If positioned within a shopping district or strip of related boutiques, you collaborate with nearby boutiques for events and discounts to promote and support one another. Vintage boutiques begin as a friends/family initiative, but slowly and surely you will attract loving customers who will return again and again to see what’s new your space that they don’t have time to go thrift for themselves. That’s the secret to owning a vintage boutique: You must stock it with the pieces that everyone “oohs” and “aahs” over because they’ve never seen anything like it before in a thrift store or market. Whether you thrift or buy from wholesale sellers (like Raghouse, see more deets below) it’s important to stick to high-quality pieces and consistent style that you and your regular customers love. 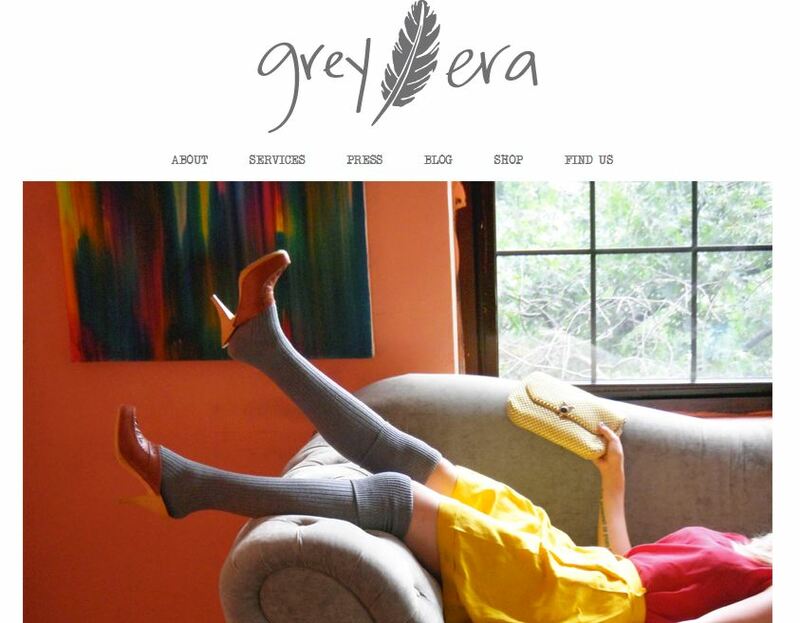 SUCCESS STORY: The former manager of A Little Wicked boutique (where I work in NYC’s Lower East Side) opened her own vintage boutique in the East Village called GREY ERA VINTAGE. Grey Era’s founder, Sierra, worked at A Little Wicked to learn the ins and outs of the business before deciding to take the plunge and truly pursue her passion of opening a boutique of her own. She uses social media to promote her store, and has accumulated a great email list which she regularly alerts to sales, events and special styles new in the store! 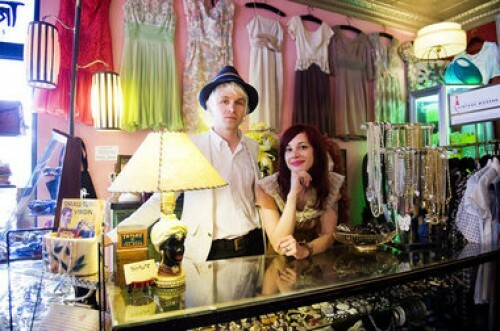 Sierra is an inspiration for vintage clothing lovers everywhere who dream of opening their own boutique. Definitely say hi to her on Facebook/Twitter and stop by the store if you are ever in the East Village area! WHAT: Perhaps your ideal career is founding a vintage clothing or furniture rental company. The market for rentals is growing because more and more people are learning just how fun and unique incorporating a little bit of vintage is into their lives — especially parties, weddings, decoration and holiday occasions. Whether you’d prefer renting high-quality designer vintage for special black tie events to founding a vintage fashion costume shop for holiday events, ’60s-themed parties and the like, there’s a grab bag of angles you could adopt to reach the customer nearest to you. Recently, I sold a dress at A Little Wicked to a lovely lady for an upcoming holiday Mad Men party. During Halloween, we sold sequins, jumpsuits, leather and lace to create unique looks or to accessorize pre-existing costumes. Then there are those truly special events: Weddings, anniversaries, birthdays, award ceremonies, grand opening soirees and the such that require only the finest and most fashionable pieces. But because not every woman can afford to buy designer at new costs, the option of renting top notch vintage pieces of unique and impeccable design is a much more accessible and affordable avenue. Beyond clothing, one-time-only-events (weddings, themed parties, photoshoots, editorial spreads, etc.) may need a specific vintage/antique piece that the organizers would rather rent for a small-fee than buy new. Example: If a new cupcake business wants vintage aprons for their press photos, your vintage clothing and/or furniture business could rent them great ’60s aprons for their photoshoot! Or perhaps a lovely bride-to-be wants a distressed look to her outdoor wedding. She can call you for vintage distressed chairs and any other shabby chic effects you’d want to suggest and style into her big day — all for a very special fee, of course! SUCCESS STORY: Jenn Elliot Blake founded Scout Vintage Rentals in Seattle, Washington after she was laid off while working as a nurse. 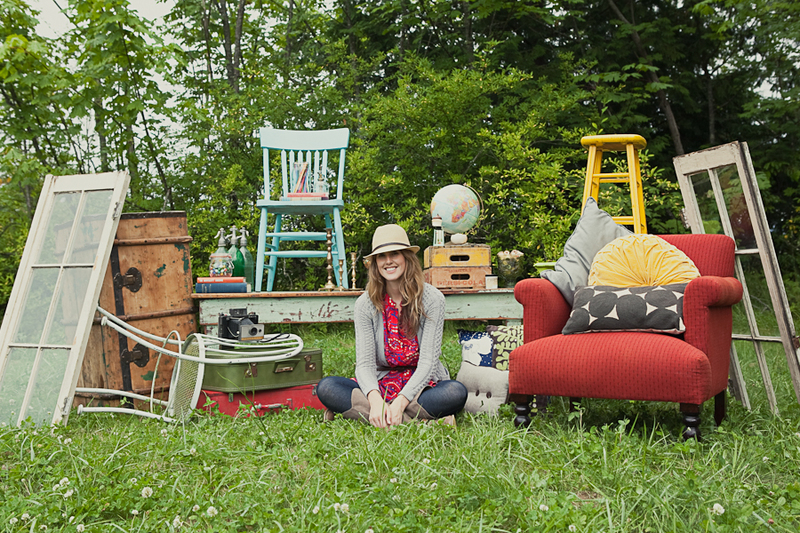 In this interview with her about how she founded her vintage rental company, Jenn shares that she was always a creative being but didn’t feel the impetus to branch out and monetize her right brain talents until after losing her job. Jenn’s success story is a great example of how there is always opportunity in the obstacle. While Jenn didn’t found Scout immediately after losing full time work, she took the baby steps she needed when she could make them, never losing sight of her goals and the happiness and inspiration the pursuit of them spread. 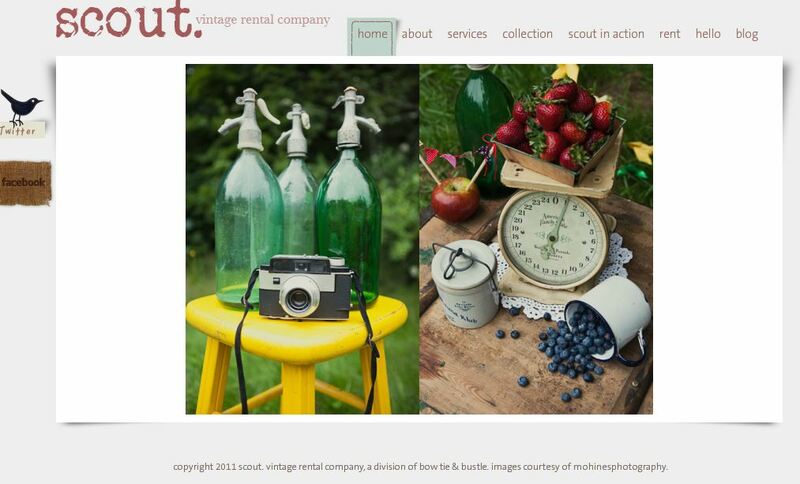 Now Scout is Seattle’s the-go rental company of mostly vintage furniture and knick knacks (cameras, glassware, suitcases, display pieces, etc.) needed on sets and during the most notable of events, like every vintage lover’s fantasy wedding! WHAT: Instead of opening your own vintage clothing or furniture store, you can spread even more vintage love (and help to make a business for yourself and tons more people, too!) 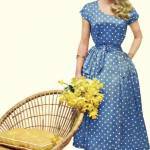 by establishing an indoor or outdoor vintage marketplace. The idea is that each seller has a daily or weekly fee they pay you to host their “stall.” You are like the vintage marketplace landlord in a sense, taking care of overhead and general repair costs. Also, you would be responsible for coordinating store-wide events and fulfill duties of a general marketplace publicity point person. While the marketplace is your brand and your creativity’s brainchild, the sellers still have opportunity to cultivate and grow their own brands thanks to you without taking risks of investment cost. Not everyone wants to open their own space, and not everyone certainly has the goods and business smarts to do so, anyway! Another term to describe these shared sale spaces is “co-op,” because everyone essentially “cooperates” to sell their personal goods in the same space. These seller/vendors are competitors for sales but also cooperators for sales because supporting one another in a shared space is in the best interests of everyone. Each vendor in a co-op pays a fee for his space to the co-op landlord. The vendors also charge sales tax on their goods and pay using their own tax ID number and not that of the co-op space itself. Many co-ops have one cash register and the sellers need not be at their booths — everything just must be priced so that the sales associate manning the co-op for the day can ring the appropriate amount and keep proper records for who receives that sale. Some co-ops take a commission on top of the space rental. This is up to the co-op and how they wish to establish business relations with the sellers they are supporting through space and promotion. 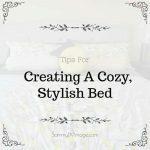 Organizing an indoor or outdoor vintage marketplace/flea market is a huge undertaking, but if you have the drive and determination to create a one-stop shopping destination for the things YOU love and that others will love too, then this is a great idea for you to consider bringing to your own community. 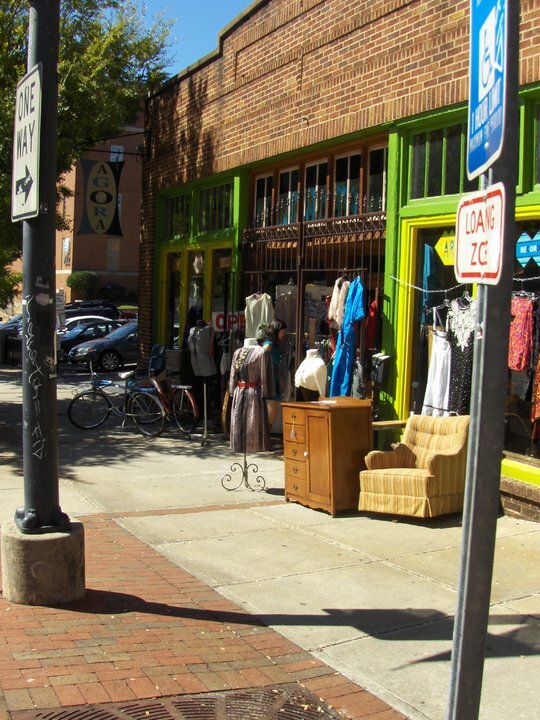 SUCCESS STORY: A great example of an indoor vintage marketplace that has been successful for many years is Agora in Athens, Georgia. I first learned about Agora while researching for a trip I was taking to visit friends in this progressive college town. When visiting Agora I met the co-op spaces’s owner Airee, who actually spent most of her young adulthood living in NYC before moving permanently to Athens. Agora is home to dozens of vendors of vintage clothing, shoes, accessories, memorabilia, furniture, antiques, records, cameras, magazines and all else vintage imaginable under the sun! Because Agora is in a central part of town near the University of Georgia, the vendors are guaranteed natural traffic to their booths without having to do much promotion themselves. This is the huge benefit to sellers, who are released of the marketing stress by allowing someone else to manage the space and its promotion of it on their behalf. I blogged about meeting Airee and learning about her love for vintage fashion here. If you’re interested in learning more about how Airee founded Agora and her business model, definitely drop her a line on the Agora Facebook page! WHAT: Next to opening your own vintage clothing boutique, opening your own vintage fashion store online is an awesomely ambitious way to channel your passion for vintage to create a self-sustaining business model. It’s important to note that while opening a vintage boutique online is a trillion times easier than opening a vintage brick & mortar store, some might argue that opening a brick & mortar vintage store is a trillion times easier than opening a vintage store online! It all depends on your personality and how you prefer to work. Do you want to engage with customers face-to-face, personally catering and styling to them in a socially stimulating & stylish environment? If you answered yes, then open a brick & mortar! 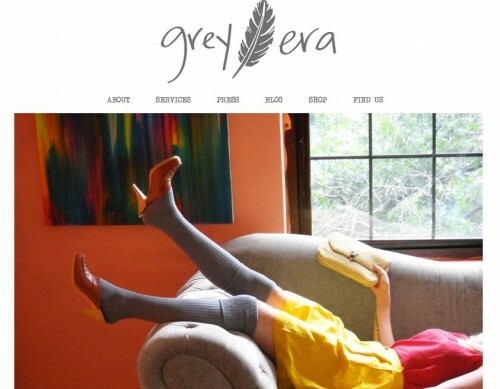 Or, would you rather create a vintage clothing business that’s branded to the customer you relate to and buy for (whether they are categorized as hipster girls, classic vintage girls, modern girls, etc.) but prefer being “out of the spotlight” as the brand spokesperson, letting the clothes and models speak for themselves? If you answered yes, then open an online vintage boutique! 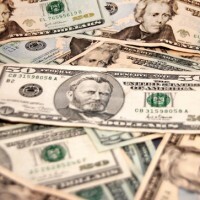 No matter what you know how to do now, the more important thing to note is determining how much start-up cost you have. Selling online requires far less inventory (not to mention overhead) and additional start up costs than opening a brick & mortar. If you dream of a boutique but don’t have the liquid funds to make this dream a reality just yet, then I suggest selling online to fuel the flame and to give attention to that which you want to grow! SUCCESS STORY: My friend Tiffany English founded Rock Paper Vintage as a vintage clothing brand on Ebay in 2007. After quitting a corporate job because she “dressed too avant garde,” Tiffany chose to make hr living as a fashion stylist and sales associate at a NYC-area boutique. Soon after her transition out of the corporate world, she decided to pass the thrift finds of her stylish eye to fashionable women in the US and all around the globe thanks to the buy-sell power of Ebay. Perhaps you are in a similar position where you are working a great job that pays well and is stable & secure, but you feel that your soul (not to mention you personal style!) is being sucked dry. Tiffany loves thrifting — the find & seek, the hunt and the ultimate score! These regular activities are what drive her sales so that she can find great vintage pieces in New York City for a low cost that she can then resell at a profit. If interested in launching your own online vintage shop on Ebay, Etsy, Style.ly, Artfire, Market Publique or any of the other awesome online marketplaces to sell vintage, your strategy for finding the pieces you like to resell for a profit is ultimately up to you. However, it’s important to connect with those who have successfully established themselves to learn how they overcome initial obstacles and what they learned (and what they’d change if they could start all over!). WHAT: Instead of opening your own brick & mortar store or online shop, another career opportunity that directly involves vintage clothing is working as a sales associate for a pre-existing one! I suggest this an option because many times, aspiring vintage sellers simply aren’t prepared to take on the commitment of establishing their own brands online or offline. Perhaps working at a vintage boutique could be a potential weekend or part time job to fuel your passion while also learning the ins and outs of the industry first. You may learn that you prefer not running the show, but more enjoy being a character in it! “how to do so” on a full-time basis without making any risky financial investments to establish your own brand, I strongly suggest contacting your local vintage clothing boutiques to see if they can take you on for part-time work. When contacting your local boutique, explain to them your love for vintage and desire to learn more about the ins and outs of how to operate a vintage clothing store. 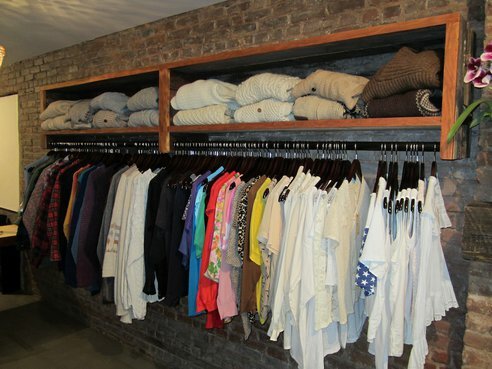 You will most likely speak to the owner, as most boutiques have only 1-2 additional employees. The owner will appreciate your honesty and expression of desires because he/she had too been in your place before! With the right outreach and sincerity expressing your goals, you’ll find the perfect store to work for who will appreciate your passion and teach you all that you need to know for your personal next best steps. SUCCESS STORY: If I do say so myself .. my own! Well, perhaps not the full story, but at this stage I am so blessed and my vintage loving life so abundant because I am working as a 3-4 day-a-week sales associate at A Little Wicked in NYC’s Lower East Side. Many of you know that I feature various NYC vintage stores on my YouTube channel. 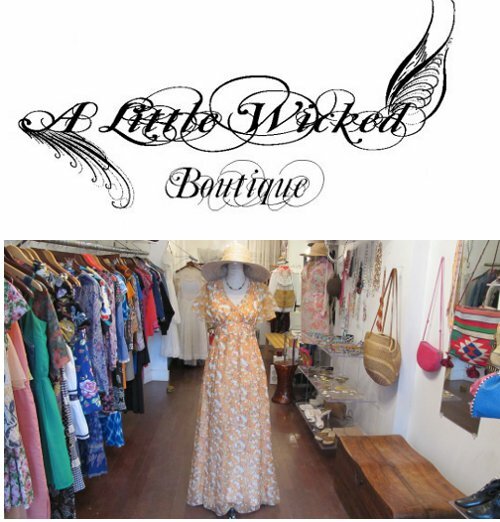 Last summer I featured A Little Wicked and surely thereafter fell in love with the store’s aesthetic, energy and enthusiasm for wicked hot vintage style. It was last August when I decided to literally pick up the phone and call the boutique to speak with its owner. I pitched myself as a new employee of A Little Wicked based on my prior experiences as a seller under my own brand name as well as what I do now, which is spreading vintage love with this educational web site and my vintage style web series. The rest is history, vintage lovers! Thanks to my opportunities at A Little Wicked, I’ve picked up 5 great tips on selling vintage and also hosted parties and events for them as well as manage the store newsletter and social media outlets. I’m able to welcome friends into the store for personal styling sessions, as well as meet vintage lovers old and new who are part of the boutique’s amazing customer base. I can honestly say that thanks to working at A Little Wicked, my understanding of why I’m on this planet is further solidified: To spread vintage love through personal styling and selling of great pieces. I would be happy working in vintage stores the rest of my life, and I say that with such confidence based on all the passion and education I’ve acquired these past 5 months at A Little Wicked. Have a question about working for a vintage boutique near you? Send me an email and I’d be happy to offer you encouragement and enthusiasm for your goals! WHAT: I may be wrong with itemizing this as “number 6” on this particular list. While the list is by no means in an order of preference, a part of me knows that it is every chronic thrifters dream to be PAID TO THRIFT! That’s essentially what a vintage clothing picker is: They are the men and women who go out to search & seize the pieces requested by them from vintage clothing boutiques. Essentially a picker creates a relationship with a boutique owner, most usually in a bigger city than the picker lives. This is because vintage clothing can be sold at premium cost in big cities where the pickings for thrift opportunities are slim. The key to being a successful picker is a.) Creating relationships with various boutiques you can buy on assignment for or pitch your pickings to b.) 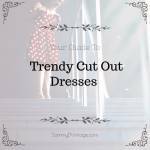 Understanding trends and labels so that you can thrift like a smart and stylish picker and c.) Thrifting to pick regularly so that you can stock a secure inventory of great finds that you can pull from when a boutique requests a particular piece or style needed ASAP. The second half of this subhead is “picking for designers.” The saying is true, vintage lovers: What Goes Around Comes Around! This is why some of the biggest design houses actually have their own vintage archive that they pull from for inspiration and (sadly) to use to create direct prototypes of style and structural design. SUCCESS STORY (MY PERSONAL EXPERIENCES PICKING): While most designers enjoy the hunt themselves, there are those who may be in need of very specific items at very low costs that you can provide them. I used to pick for ditzy floral silk dresses, tops and pants for a NYC & LA based label called The Reformation. Head designer Yael took vintage silks in gorgeous floral patterns and repurposed them into tap shorts, crop tops and open-cut back dresses. These were one-of-a-kind pieces that were recreated with a vision and a mission in mind — and sold for top price! I sold dresses for about $10, pants for about $7 and tops for about $5. So, as a picker it was in my best interest that I found these pieces at the cheapest prices possible so that when I sold them at wholesale costs to The Reformation, I would make double to triple the return on my investment. I had a few big picking sales with them, totally to $200 + on some selling occasions. It was a tough job, however, because I had to visit the boutique’s warehouse in Chinatown with my pieces to sell. Because of my location in NYC I had the opportunity to work with designers for these vintage clothing profit opportunities. You may not be in the same vicinity to a large urban center, but with high-quality photos you can duplicate the experience of in-person buying/selling through email and phone conversations. The key is to ask the buyer what they want and how they want to see it — fulfill their need so that they are left happy and more likely to request your services on a regular basis! WHAT: Above I discussed the pros and cons of working as a picker for vintage boutiques and designers, but another way to work within the “picking” arena is to work for a full-fledge vintage fashion wholesale company. Vintage clothing wholesale dealers is a nicer way of saying “clothing raghouses” which is exactly what Raghouse has embraced in the name of their wholesale vintage business. Raghouses exist all over the country but are most plentiful in the American south and southwest. To be quite honest, I’m not sure why this is the case but I have suspicions that cultural reasons (secondhand is not as big in the south among the mainstream) and low overhead costs (warehouse rentals and land = cheap) combined create the perfect scenario for loads and loads of clothing to be stored and sorted for distribution to various outlets. SUCCESS STORY: Raghouse.com has its own methods of acquiring vintage pieces at low costs. But what I do know is that they offer “lots” of vintage clothing packaged by theme, material or piece. So, you can buy a 200-piece lot (essentially a large amount in one purchase sold low-cost) of swimsuits from the ’60s-’80s for your summer season. Don’t need 200 bathing suits for $150? Well, sell the ones that are best from the lot and resell the rest as a “lot” to another vintage clothing buyer. It’s to a vintage buyers benefit to take chances on lots. While spending more than $100 on vintage with the purpose of reselling sounds insane, you are getting a huge amount of inventory that can pay for itself with only a handful of successful sales. Vintage clothing warehouses like Raghouse are cropping up everywhere as the mainstream begins to pick over thrift stores and flea markets. Vintage clothing stores need to get their pieces at a low cost and fast — the buyers of the stores don’t always have time to work with individual pickers or to spend days thrifting themselves. Raghouse is based in Phoenix, Arizona. I’ve communicated with them via Facebook & Twitter. They are personable and serviceable and would love to answer any of your questions! Send them an email at [email protected], or say hi on Facebook! WHAT: Selling vintage fashion to the other vintage sellers and the general vintage loving consumer is loads of fun — but then there is the whole other level of engagement with vintage that’s addicting thanks to the greenbacks and glory involved! The true win in any secondhand industry is to find the pieces that are true SCORES. Not just scores in the sense that you’ve got a great deal or found serious style — these are great scores because they are making you a huge profit that is part luck, part talent and totally something you want to pray for to the thrift Gods! SUCCESS STORY: Augusta Auctions is an example of a career for the vintage lovers who want to see just how much they can sell secondhand scores for — like the rare zoot suit that was purchased for $20 in New Jersey and sold for $78,000 through Augusta Auctions November 2nd, 2011. 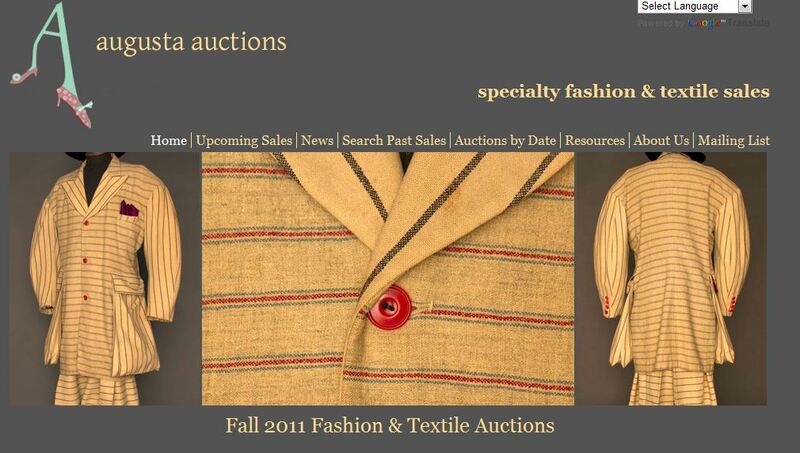 Augusta is a NYC based auction house. Many of the specialty fashion & textile pieces are sold to collectors or museums. Augusta is a partnership, run Karen Augusta & Bob Ross. While most auction companies have limited staffing, the opportunity to work at an auction house near you is always an opportunity for hands-on experience in the most exciting aspect of vintage: Making money! I’d suggest finding an auction house near you and contacting them to see if they are in assistance of help during their auctions. 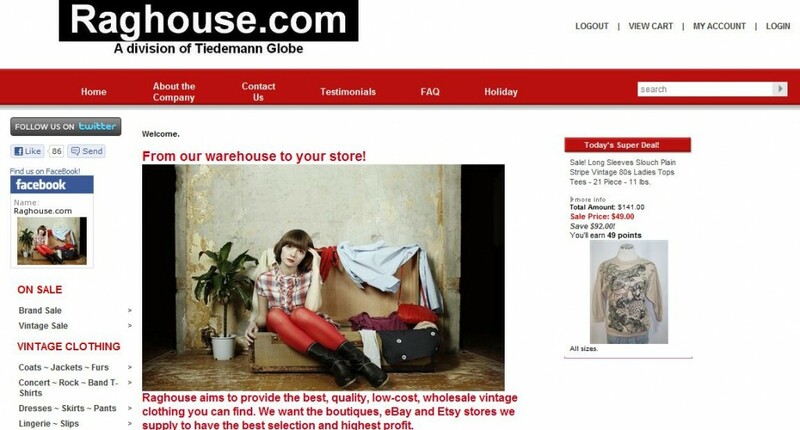 Even helping to set up an auction or distribute promotional materials to help promote is a great outlet for vintage lovers to wet their appetite for this part of the industry, and to see if they are interested in pursuing working for or establishing their own auction house of vintage clothing & textiles. WHAT: So I’ve already suggested opening your own brick & mortar or online boutique or if you’re looking to help others sell vintage under one roof, a vintage marketplace/co-op space. But then there are those who don’t wish to “own” but wish to instead work in the “operations” of the industry — like as a sales associate for a vintage boutique or as I’m about to explain here, at a buy-sell retail chain like Plato’s Closet or Buffalo Exchange. Plato’s and Buffalo are just two examples of the numerous hip, young & modern buy/sell chains popping up all around the country. 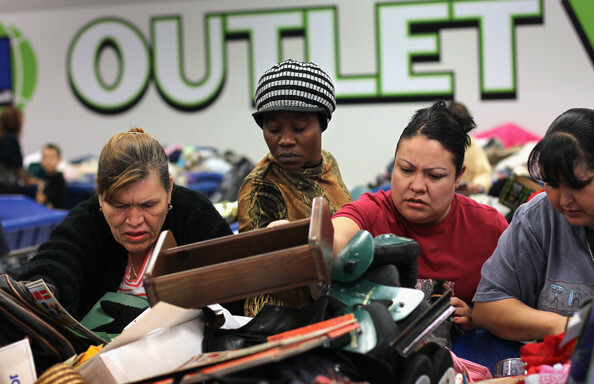 They don’t operate as consignment stores but rather as sell-for-direct-cash-or-credit. For example, if you bring your lightly used and trendy clothing to Buffalo, you receive 50% of its selling price in credit to the store or 30% cash. It’s a great way to clean out your closet while also have the opportunity to invest in new threads. Way sustainable and stylish! The reason this business model has been so successful is that as a high-consumption society, we want new things often. However, we don’t always have money for brand new things, so buying our old things for some cash back/credit back to invest in “new to us things” is the best bet for us to fulfill these desires! Buffalo Exchange lists its available positions on its website and you can apply for a position online here. Plato’s Closet is a mostly northeast based chain, but with many locations and growing thanks to franchise opportunities to open your own store. 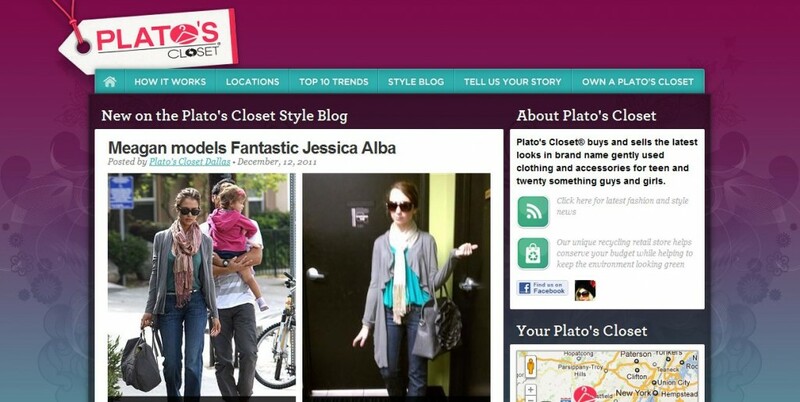 You can apply for a general sales position on the Plato’s Closet website. These are not the only examples of national buy-sell and consignment chains. Second Time Around follows the consignment model and has dozens of locations around the country based in large urban centers like Boston, New York City, Philadelphia and the like. There may be a consignment store chain near you, like Green Street Consignment which began as one store on Philadelphia’s famous South Street shopping district and which now encompasses 5 different stores in the Philadelphia region. Do some research within your local YELP pages to find the perfect match for you! 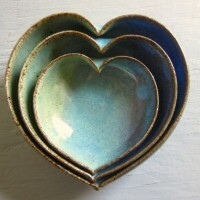 WHAT: Many times, vintage lovers also have a deep affection for the beauty that a piece encompasses in its purest state. This is why many vintage clothing lovers also love the historical significance of pieces, because the design, structure and style is more than just fashion: It’s about what was en vogue for cultural purposes that we can only understand with the education gained through education. Beyond selling your own clothing or working for someone else who does, you can work for a museum which puts vintage clothing on display that is stylishly and historically significant. 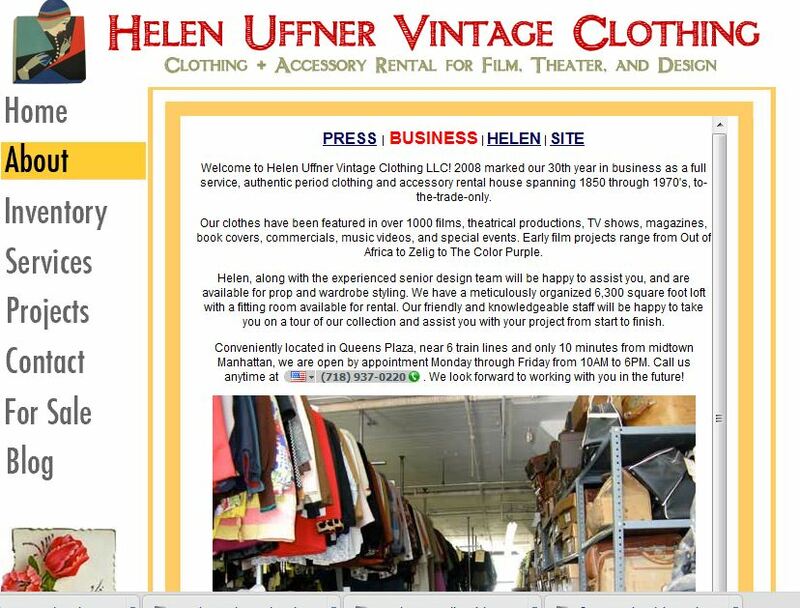 Two NYC-based examples of a museums centered around period pieces of vintage fashion are Helen Uffner Vintage Clothing (also a seller & rental company) and The Museum at the Fashion Institute of Technology. Working for one of these establishments would encompass a thorough knowledge of not only clothing history, but American & international history, too. Facts like why the first “sizes” were introduced during the Civil War because in order to distribute war uniforms efficiently, a sizing system needed to be established for the mass-made clothing to be fitted quickly & properly to the soldiers. Many individuals who work for historical fashion museums have a degree related to the fashion industry or a deep love and self-taught knowledge base surrounding the history of fashion. This doesn’t mean you need to go back to school to get your degree in history or to pursue a career change into museum curation. It just means that to really get your foot in the door, you need to be passionate about this arena of the vintage clothing industry. Most sellers simply like pretty things, and this is how they are pulled into the beauty that is fashion of the past. It isn’t until they’ve gained a deeper understanding of the historical significance behind the style that they begin to commit attention to learning the historical circumstances behind the pieces they are curating and selling. To work at a museum like Helen Uffners or FIT, one must want to read, learn and self-educate. Vintage sellers can get by not knowing much about the history of the piece — it’s more important to recognize style terms and keywords. But for one to work at museum, one must be willing to remain open to more knowledge and know-how to do their job the best they can, and to present engaging and enlightening exhibits and information to the public who wish to learn from. Other examples of museums which are vintage fashion focused is the Victoria & Albert museum in London (a rotating fashion exhibit) or London’s Fashion & Textile Museum. 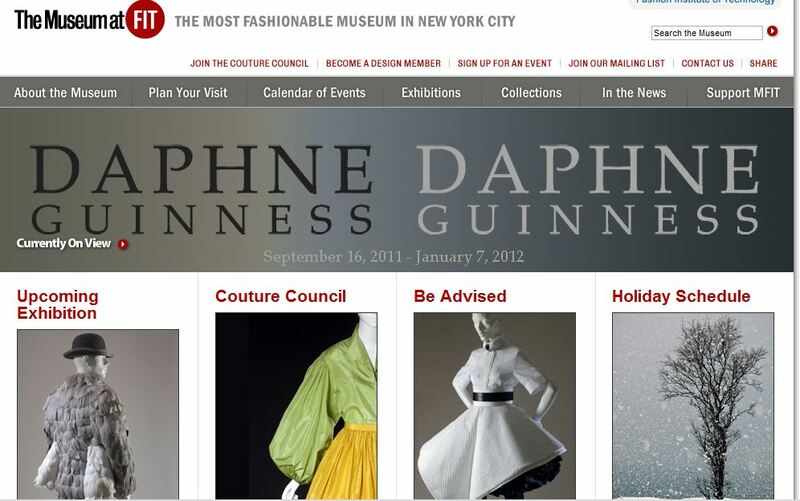 For the best resource though, check out this long list of fashion museums on Squidoo. I want to work at them all! If you are in NYC and interested in working for the Museum at FIT, you can apply for an internship here or calling human resources (212 217.3650) to be in touch regarding career opportunities. WHAT: Perhaps you have a passion for thrifting and vintage style, but no interest in buying to sell or even working for any aspect of the vintage clothing business. You’re perfectly happy doing what you do for a living and just like to express your passion for vintage using a personal site and the social media tools available for free thanks to this great big thing we have called the Internet. You just may be the perfect candidate to utilize another tool of the Internet to monetize your passion slowly but surely: Self-publishing an e-book chock full of the thrift tips and style savviness you’ve picked up thanks to your packed resume of fashion expertise & secondhand shopping experiences. While you can monetize your blog with ads and paid-for-links and sponsorship opportunities, the next step to declaring yourself a vintage fashion and thrift store shopping expert is to publish something one can hold in their hands rather than scroll through on a computer screen. E-publishing is becoming easier than ever thanks to plug-and-chug book design formats that just need your pretty pictures and text of wisdom! Not to say that publishing an e-book is an easy feat: You must devote hours to brainstorming, planning, preparing and then executing all the steps you need to develop the e-book of your dreams. You want to have an editorial vision that speaks to seasonal relevance and modern trends, as well as fills a consumer demand of information needed by the general public. When you answer the need, the customer will buy from you because you are giving them something they can’t find anything else. Write an e-book that is a blend of “a-ha!” for the education and a bit of “aah!” for the entertainment, and you will have mastered a winning formula that is just waiting to be bought by the audience hungry for it and accessible to reach at your digital fingertips. SUCCESS STORY: Stacey of the vintage & thrift style fashion blog Goodwill Huntingg has taken her love of thrifting & style and translated it into a full-time freelance fashion writing career. On top of her assignments for local and national outlets, she has also produced the first of what I hope to be many e-books around thrift & vintage style. 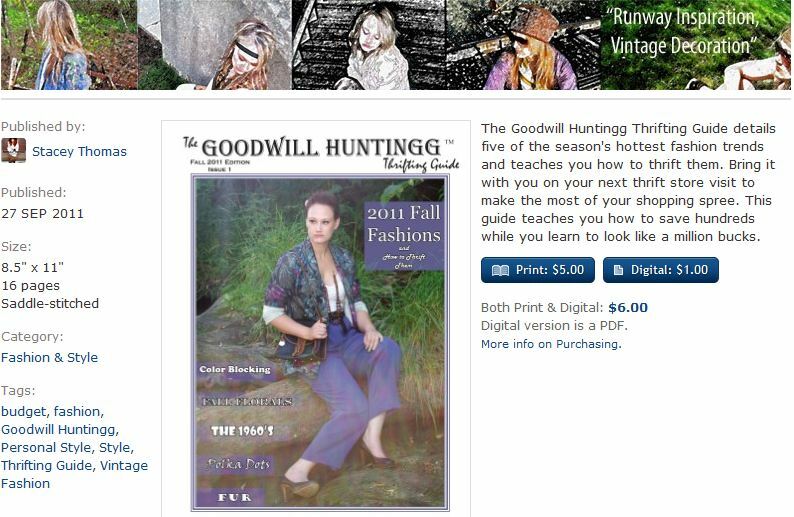 Check out the first Goodwill Huntingg Thrifting Guide (fall) and her most recent Thrifting Guide (winter editon). She’s selling digital copies of each for $1 and print copies to be mailed to your home for $5. I decided to include this as a “bonus” option because while publishing an e-book isn’t the most profitable of options related to a vintage clothing career, it is an opportunity to promote your skills and share them with a larger audience without gaining the affirmation of an editor and publisher first. While Stacey is starting small, her future as a fashion writer around vintage & thrifting is bright. She’s created her own future by the work she does right now in the present. While selling online ebooks for $1 doesn’t sound like much, it’s her investment into bigger and better opportunities farther down the road. I know that within a couple of years, I’ll be visiting Stacey at her first book signing and requesting her autograph in her just-published-thrift-style-manual! It’s these small steps in pursuit of our passion which fuel the flame to create the BIG things we hope and pray and dream of. Stacey is an example of starting small, but dreaming big. Definitely visit her thrift & vintage style blog Goodwill Huntingg and find her on Facebook to answer all of your e-book publishing needs! Did I miss a career for this list involving vintage clothing? Have a creative idea to share with me? Leave me a comment below and let’s be in touch! I love this post! What great ideas and inspiration! thank you so much, Alejandra! You were a part of the inspiration from the get-go when I started my career in vintage! never a problem! you deserve this and so much more! thank you for doing what you do and making the time to create inspiration for others! Great article! Loved all your ideas, especially the Ebook writing one. I think that specialized ebooks could lead to some great writing opportunities! Yes Sandra! You could certainly write an ebook — I believe that all vintage sellers could! Great post Sammy. Like you, I encourage everyone interested in vintage clothing to explore and pursue that passion. I teach my interns to take their time and try on the many different aspects of the business to find the right fit. Never to be afraid to say this one isn’t for me and try another,because they will learn different lessons working in the various aspects of vintage. When the fit is right they will know. The language of vintage speaks in many voices. Wishing you continued success, keep up the vintage crusade. Anthony it is so nice to read a comment about being a part of the “vintage crusade.” I had never looked at it like that before! We must all lead one another to greatness. You are right about the different lessons — the different avenues of inspiration and education. We all must tread lightly however have open hearts and minds to the opportunities to give our actions love. thank you! Cynthia, I appreciate that so much! Please let me know if you think of any other opportunities I may have missed! As usual you are amazing and so inspiring! I love this post: I’ll save it for me and I’ll share it with my readers! 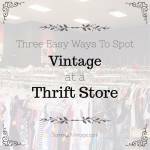 FYI I’ve never seen vintage clothing at Plato’s Closet, the few that I’ve been to have only sold mall brand clothing for the junior’s demographic. However that might change from store to store. This is a fantastic post, Sammy. I’m so impressed by the hard work and research that went into it. My own book (ebook and hardcover! )is completed and ready to be published within the next month. I definitely think that anyone with an interest in vintage and a love for writing should consider publishing an ebook. 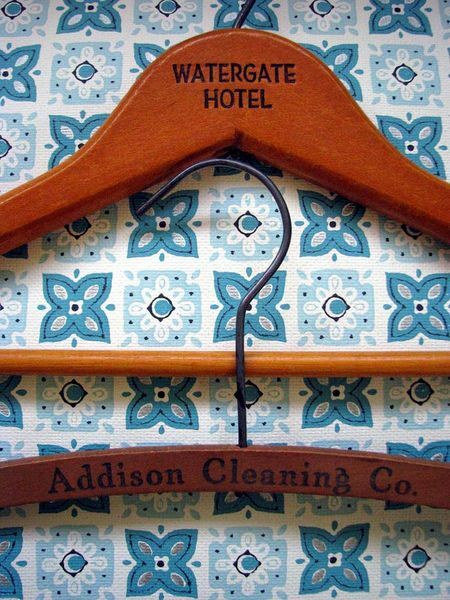 It’s a great way to parlay your love for vintage into something meaningful. I thanked you on Facebook, but wanted to express our appreciation for the nod here as well. Wholesale vintage is a really fun place to work. We get so excited to be able to help stock people’s stores and help them make a good profit! So they can sell more vintage! I’d definitely call that part of the vintage crusade! Having bought vintage all my life (and sadly given much of it away over the years)last year I left a 12 year career in PR and started selling vintage clothing etc online – one of the many, many things I always thought of doing but never got around to. I have taken baby steps as this was due to be a fun side project whilst I freelance but timewise it has taken over. As 2013 opens I have found myself to be in a state of flux in regards to my next direction and your article has been just the ticket to help get the head cogs working again. Great advice and very practical career tips too, which is highly refreshing. Thanks so much. hi Bev! Glad to hear this! How are you doing and where are you selling now? Hi Sammy, I have a store on Etsy – hurdyburdy vintage – I was emailing you recently regarding your new book. I took the decision to not sink a big pot of cash into the business straight away, did everything by myself with resources to hand, no fancy kit etc and bought stock from the profits of my first outlay (which really wasn’t much in terms of cost). It’s a bit like buying a house and leaving the decorating until you have settled in so you can get a feel for what you really want to do with it. I now know what my next steps are and just need to action them. 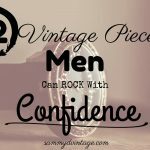 The world of antique and vintage clothing has always interested me since being a child and one of the things about selling internationally is that you discover attitudes to vintage style can be dramatically different. I love it. I have a lot of vintage pieces that I want to sell. Because South Carolina their isn’t a good fit for this type of business. I have some clothing, jewrely(s), shoes, hats, and things of this nature. That I would love to sell as Bulk purchase first come first serve. Please contact me and I will be selling it all at one time. I have some fur coats, mink coats, shoes, purses, clothings, sweaters, suits, and etc. They are mostly sizes (8), shoes 8N, Suit(s) 8 & 10 Petite. Please contact me immediately. have a love for good qaulity vintage clothing and only came across your site because i was doing research on furs.I live in Christchurch, New Zealand. I like the idea of having a Vintage, retro shop,but I know I wouldn’t like the hours and would always be worried about paying the rent.So I talk myself out of the idea. I have tried listing items on our Trade me. For example,I have a retro Lambskin Jacket in near new condition starting price of $40 and I am not getting hardly any views compared to my other listings.So I have also been considering on online store through ebay. I loved all your information. hi Ingrid! I love your story and you seem to be a woman to know! What is your Trade me? Is that a website in Australia? Hi Sammy, Trade me is a New Zealand site where you can auction any item.There is also another auction site that has started in the last month or so called Wheedle. Really element of content material. I simply came across your web site as well as in accession capital to state that we have actually cherished profile your current weblog blogposts. However I will be opting-in within your provides nourishment to and in many cases I pleasure you obtain permission to access regularly rapidly. It could be a great and useful item of details. I am pleased you distributed this helpful info along with us. Remember to keep us well informed such as this. Thank you for spreading. What’s up to all, how is the whole thing, I think every one is getting more from this web page, and your views are fastidious in favor of new visitors. catch up with these trends. Fashion is not something that exists in dresses only. Hi there really enjoyed this! I am particularly interested in the picker option. Can you offer any advice on how to find/ advertise/ hire Pickers for an online shop? A lot of inspiring stories! I really liked the idea of franchising a thrift store.